Over reaction, just like days of seeing an exciting mirror design to think it will make the car go quick, or pinning hopes to the words of "Mr.Tell-it-like-it-is" who was pointing out that we won't be where people expect us to be, thus we are not last. Now...it's a rush to become a B-team! BS! I have nothing against taking gearbox from Merc, it's logical with 2021 rules in mind but other things? Absolutely not! 2014, it was only 5 years ago and regardless of how much that Mercedes engine helped us, the thing that was the real bright point of our team was its development rate...We beat everybody else (Mercedes too) in development race with our aero and mechancial updates.Just compare our first GP quali/race pace with where we are in AbuZabi. So this team, with its current size, current philosophy of making parts, current financial state, can do the job and it can do it brilliantly...for 100%! Those guys inside should stop @#$%& it up and do their job correctly, whether its the management side, TD, design team or whatever...why should we delete the question to get rid of those answers? If you need another proof that not being a B-team can still make it these days, just checkout where Mclaren is.Whether they can keep it up or not, it makes no difference, but it proves you don't need to be a B-team to be in Q-3 and beat Renault or STR. You are right in theory of course, Mehryar. But personally, I have lost faith in the management to realise this ambition. I am as anti B team as you. But right now, I don't feel we will sort this without outside help. And if it buys us some time to re-group, why not? Williams has reached a very deep level of farce. This is a multi million pound corporation, with over six hundred employees, and the only reliable evaluation of the product comes down to one-armed Robert and a bucket of flo-viz. Are you confident we will produce anything better next year? @MikeF1...Well, fair point but I'm not talking about a decade ago.It was 5years ago only and those cars needed downforce + grip too...They needed correct base design and a realistic development program + a correctly working tunnel too...Then the same Ed Wood who's fired a couple of months ago could push the team where it was in AbuZabi '14 with its new parts. @ihme, I don't get your point as I don't think you were answering me.I made a better example for you in comparing Williams with its own self, no need to stick with Mclaren one.But if you want, ok...They have money? well, not that much more than us & they are paying for those engines these days, as we do.Team budgets are out every year, check it again. About what they have in place, I have nothing against but it's not my answer, as I said this same body of team, made a brilliant job 5years ago, not all of them ran away when Paddy joined us, but they need a corrected way of decisions being made by the management (the same management which made it happen in '14) and someone with leadership powers (who was again brought in by the same Father & daughter some are asking to leave for '14). Turning this team to a b-team is just asking for mediocrity.All those big heads need to is to make sense abit in their decision makings to make the team work as it used to before. The other option is to stick with Force India way of doing things and hope we get a new buyer when we will get bankrupt...Or STR kind of model, to finish 8th-9th for much of its history and always be in a treat that if the crazy team boss of team A wakes up one day and doesn't want to be in F1, then our future will be up in the air with 800 staff...If you're hope is Haas...well, give it a decade time to see how their model works in a long term! The future you guys are asking for, has its result in front of your eyes.Being in last 2-3 teams like STR or going bust and sticking to a pay driver to survive like Force India. When i get angry, a Sobieski and a Marlboro calms my nerves. There will be no Williams without sponsors. ROKiT must be furious right now because it looks like it could be an even worse year than 2018. If this car wont be fixed come Barcelona then I'm positive we will hear the first rumors about a closer partnership with Mercedes later this season because this really is a no-brainer and I really dont see any other option for Claire plus it would help so much with retaining the current sponsors and finding some new ones. We could be fighting for P4 in the WCC right now had we bit the bullet on this sooner for crying out loud. There is no real reason except pride not to become the b-team of the most dominant team of the last 5 years. The TP of Mercedes knows our team inside out and their awesome junior drives for us! Don't.. just don't.. don't make up things like that to stir a fuss. Sponsors usually sign at a team without any say in what must be delivered performance wise seen. If they do, then they have escape clauses. And if they have escape clauses, they won't infuriate themselves. It's what they signed up for. So just don't add to the negativism with unfounded ramblings of what you think is happening. Take out your logic and see that it is completely insanity what you said. Just.. don't..
Have you ever heard the phrase â€œany publicity is good publicityâ€�? Itâ€™s possible that Rokit donâ€™t care that Williams are running plumb last, they are getting a lot of TV time and having their brand seen by millions of people across the globe. 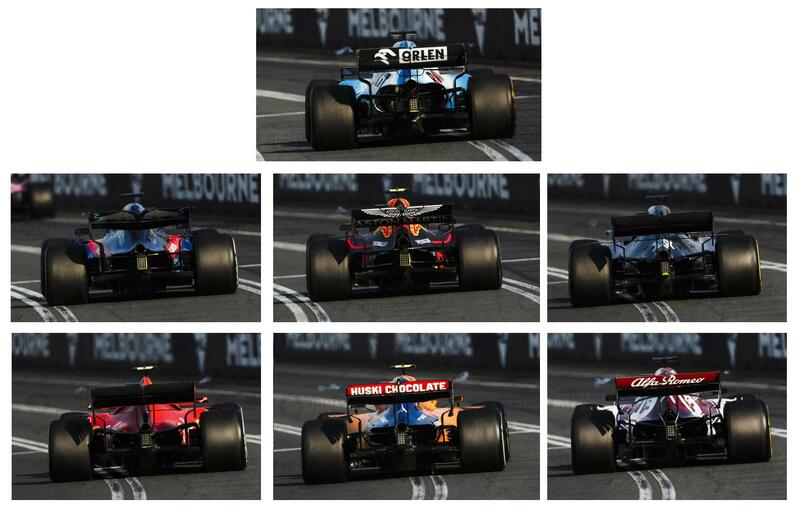 Our sponsors are probably much more visible tonthe public than the ones on the Torro Rosso or McLaren cars, for example. It would obviously be hurtful for an engine supplier or a road car manufacturer or something, to be associated with slow cars and engineering problems, but for a company like Rokit the exposure is probably still extremely profitable. actually alway should work, its all about exposure even if that something is embarrassing or damaging. The governing body wants all competitors to share common internals but have their own “team-specific” gearbox casings on which the suspension is hung. .... A common cassette will represent a huge change to the way many F1 teams work. Alfa and Haas currently use a complete Ferrari gearbox package, Racing Point employs one from Mercedes, and Toro Rosso shares the same unit as sister team Red Bull Racing. The likes of Sauber and Racing Point have not had to make a gearbox casing for many years, and currently do not have the facilities to do so. I can't see any sense in Williams shutting down its facilities for building its own gearbox and then restarting them in a year. Rather, I would prefer that Williams get past the frustrating "logic" preventing it from upgrading its facilities and personnel to build an up-to-date CF gearbox casing. Yeah but I was directly referencing the 2014 car. It was a far simpler aerodynamic time, the bargeboard development race is where we are missing out the most. We clearly don't have the know how since the 2017 regulations opened up to design a competitive car with these wider more complicated cars. There is no benefit at all to building the other components, so why waste the money building them. Most of our performance is going to be lost in the aero, so if we could take champio ship winning parts AND double the investment in the aero, it's almost a guaranteed fact that the team would build a better car. LOL, called it in December already. How on earth can 600 so called elite brains get it so wrong yet again. surely someone must have known this design would not work. How on earth do they not know when simulation testing of these major problems. Paddy lows career reputation in tatters. Many of these heads delivered us podiums only a couple of years, we need someone to steady the ship and get us back on the correct development path. Regarding the B team discussion, Williams should enter into a collaboration with Renault (the only team without a B team). Operative word being 'collaboration', not B team as in - share & collaborate on some tech. Though at this point I am not really sure what Williams can offer in terms of tech. we need someone who is good at aero and knows how to create decent down force. we have not had good down force for years now..
Give us a clue?? What is this? A huge cooling exit meaning we likely have got the cooling numbers wrong again. And Kubica having to race with a damaged diffuser. Someone knows how moch bigger is our gearbox? but as far as I know it is not big trade off, as Williams recent cars being rather short wheelbase don't have weight problems, and that is why carbon casing is not that important. That raises the question, how much is the design philosophy compromised by the added weight? Is the wheelbase shorter than it would be ideally because of the heavier gearbox? My own speculation is that Paddy was not convinced to the longer wheelbase and (by coincidence or not) FW41 and 42 remained with short one while carbon gearbox casing was put aside although it was said to be almost ready and expected in FW41. Edited 1 time(s). Last edit at 18/03/2019 23:07 by Greg_OR.